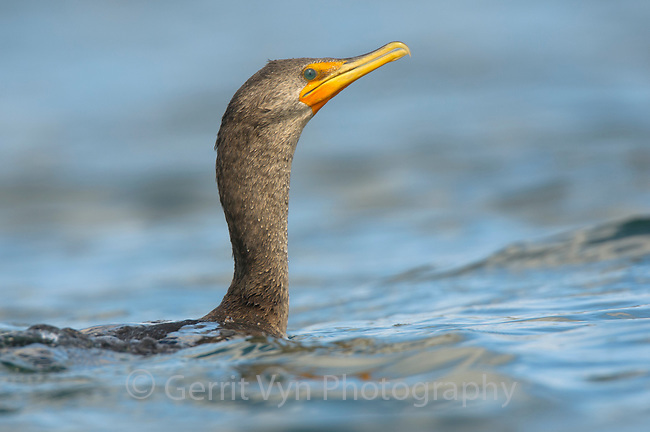 Immature Double-crested Cormorant (Phalacrocorax auritus) swimming. Island County, Washington. April.